August 1, 2015: Translated most of Fritz Hahn's very informative article from 1964! July 19, 2015: The oldest tree cake recipe is translated! This is a good place to begin if you are wondering what's the connection between cakes and rotisserie. Or if you've seen the words baumkuchen, tree cake, chimney cake, kürtőskalács and so on, and you want to understand what they refer to. Simply put, these are cakes baked via rotisserie—they cook on a spit rather than in a traditional pan. The process requires some special apparatus, is way more labor-intensive, and more prone to cake failure. However, when done right, the result is a decadent, nuanced pastry that simply cannot be matched. If you slice a tree cake axially and unroll it, you'd have a fairly standard layer cake. Long before we had a name for the Maillard reaction, bakers knew that the best way to maximize lovely aromatic compounds was to bake the cake layer-by-layer, so delicious golden crusts build up within the cake body. 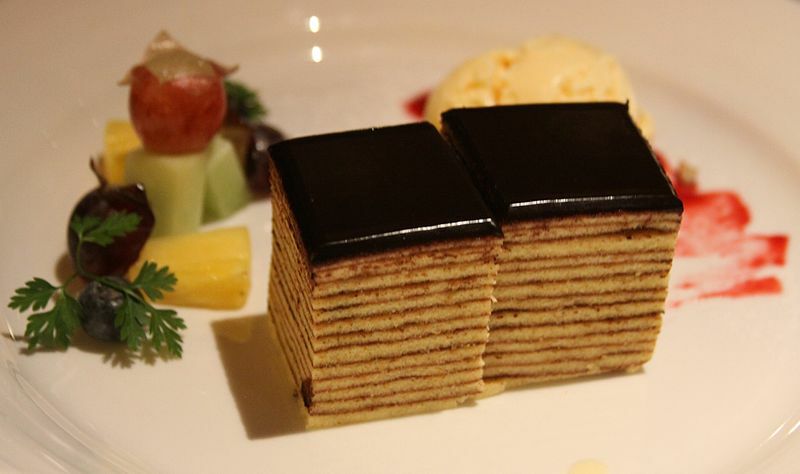 What's more, each layer has its own personality and flavors. This lends a richness and complexity to the finished product without altering the batter. It's easy to understand how the dark-light-dark-light banding reminded bakers of a tree's rings. Meanwhile, chimney cakes were developing! These yeast-leavened cakes predate the layered tree cakes by centuries. Chimney cakes are brilliant pastries for very different reasons than tree cakes. 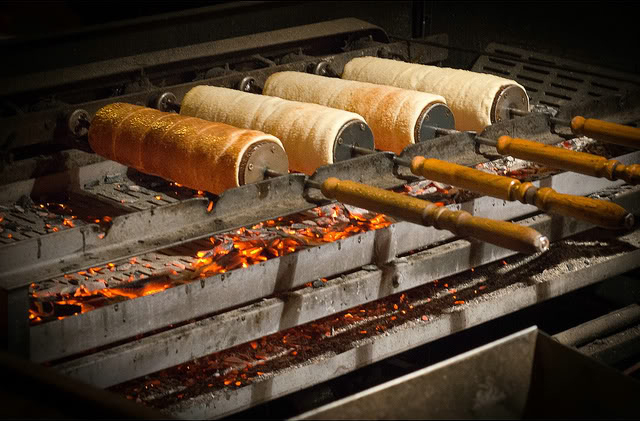 Thanks to the rotisserie and the wooden spit, chimney cakes are baked on the exterior and steamed on the interior. Each thin piece transitions from a flaky crust to a tender center. Constant rotation distributes the heat more evenly, even if you're cooking by an unpredictable campfire. Moreover, these once-baked spitcakes can be made quickly, precisely, and in great quantity. They are an excellent street food, simple yet profound. Tree cakes evolved as an extension of layer cakes and chimney cakes. Applying the layer-cake approach to rotisserie pastry was a culinary masterstroke. On the rotating spit, gravity acts as an enforcer, keeping each layer thin and delicate. 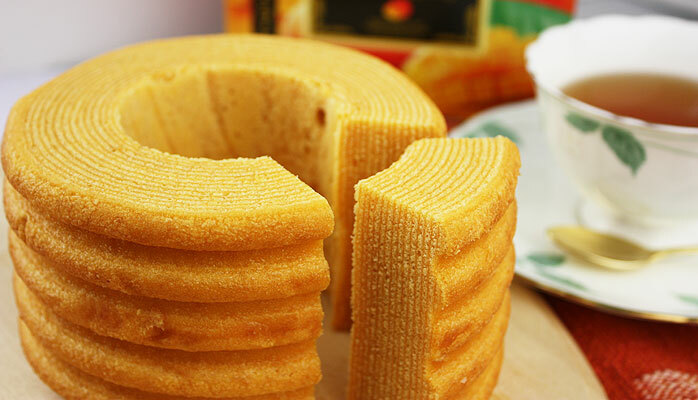 The rotation also helps control how the cake develops its shape, which is why there is so much variety in tree cakes' textures and appearances. Smooth cakes, ridged cakes, spikey cakes, wavy cakes—lots of possibilities, all of them terrific. Hi. I'm Sam. This is a place for me to rationalize my obsessive research on cakes. Stick around, I hope you learn something new and delightful! Do you know something about rotisserie cakes that I don't? Do you have opinions on my site organization/layout? Please let me know! My email address is EttingerSamno@no.no@gmail.com. Or send me a message on Twitter. I love to hear from cake fans! Contents © 2017 Sam Ettinger except where otherwise noted. Write to me at EttingerSamno@no.no@gmail.com or @rotisseriecakes.